Dan even goes as far as to claim that the program will give you the ability to generate a steady 5 figure per month income for the rest of your life… But obviously that’s a pretty bold claim so you might be wondering is it actually legit or is High Ticket Closer a scam that should be avoided? What Exactly Is The High Ticket Closer Program? Well firstly before I dive into explaining exactly what the High Ticket Closer program itself is, it would probably be a good idea for me to explain what “high ticket” means in case you don’t already know & that way you’ll likely get a better understanding of the whole thing. So basically something high-ticket just refers to it being expensive, and in terms of sales if you make a high-ticket sale you would have sold something pretty expensive & would likely stand to earn a big commission as a result. The dictionary definition of it basically reads as “items or products that have a high value and cost“. Working with high ticket sales can be quite fun & it can certainly be pretty darn lucrative as you often only need to make a very small number of sales to stand to make a large income as a result. The problem though is that it can take a certain “skill” to effectively close high-ticket sales since obviously people are more reluctant to part with higher amounts of cash – and that’s where the High Ticket Closer program comes into play. Dan Lok the founder claims to be an expert when it comes to high ticket selling & he states that through it he’s managed to make multiple millions of dollars, which I think you’ll agree is a pretty impressive feat. And I can believe him because previously I too was involved with high ticket selling & I seen first hand just how lucrative it was. But anyway the program is not about Dan, it’s about you – because through it Dan claims he will teach you how you too can effectively close your own high ticket sales & generate thousands of dollars in commissions. He even states that if you do really well with the program he’ll consider letting you join his own high ticket sales team which could see you working alongside celebrities & big names such as Tony Robbins & Jason Capital. The problem though is that Dan Lok’s High Ticket Closer program is itself a high ticket program with a starting price-tag of $2,495. So is it really worth it? And will you really be able to make money as easily as Dan claims? How Does The High Ticket Closer Program Work? Basically the High Ticket Closer program is a “live” 7 week training course with Dan Lok himself. So at a specific time every week for 7 weeks, Dan will jump on a live call with the members of the program & run a training class. Since the class is live you’ll therefore have the ability to ask him questions & to clarify bits that you maybe didn’t really understand. You’ll likely also find it much more engaging than classic pre-recorded material too. Dan will also put some accountability on you as well so at the end of each class you’ll be given some tasks to complete, then in the following week you’ll be checked up on to make sure you’re taking action. And alongside the live training classes one of the more interesting things you get access to is a role playing platform. Through this platform you can watch others practising their sales techniques & then you can partner with them to try out your own high ticket closing skills. The platform consists of other members from within the HTC program & you’ll be able to access it whenever you like – 24 hours a day, 7 days a week… Providing other members are online too of course. Dan offers 1-on-1 mentoring through various online websites at a rate of $83.33 per minute which equates to around $5,000 per hour for his time… However if you were to purchase the High Ticket Closer program you’d get 14 hours of his personal mentorship for “just” $2,495. It’s still pretty darn costly but if you’re desperate for his mentorship it sure beats paying $70,000 for it elsewhere! You do get access to a whole bunch of pre-recorded training but the core training of the program is all done live… This means it’s much more engaging than most other training programs & more importantly you get the opportunity to ask questions as if you were physically sat in a classroom with Dan. This is a biggy – there are many great training programs out there that give people the exact steps they need to take to make good money… The problem though is that most people join & then simply do nothing. Taking action can be difficult when you’re at your PC & reliant on self motivation because there are often so many distractions, but with the High Ticket Closer program there are accountability groups in place to keep you on track. There’s no guarantee of this, but if you do exceptionally well throughout the High Ticket Closer program Dan claims he will consider you to join his own closing team through which you could find yourself working for big name clients such as Tony Robbins & Carolin Soldo. If you don’t make the cut then you’ll be provided with a step-by-step guide which shows you how to get clients for yourself. This is the biggest downside in my opinion. At the end of the day $2,495 (which is what it costs to get access) is still a large sum of money & it’s likely that most people just won’t have that kinda cash spare. Dan does offer a payment plan which breaks it down into 3 monthly payments of $995 but this will then bump the price of the program up even further to a whopping $2,985 in total. Ultimately you’re paying for training & there’s no guarantees with regards to what you’ll actually get out of it. You could pay $2,495 & find yourself no better off at the end, so it’s a bit of a risk in my opinion too. Dan states that the program could help a total newbie to begin generating as much as 5 figures per month, every month, but in my opinion that’s kind of unrealistic. Whilst the program is good & all, I just don’t believe it’s the best place for a newbie to start. As far as I’m concerned it’s better to start out small, gain experience – and then look into this sort of thing as you try & develop later down the line. There are training programs out there that are totally free to get started with such as Wealthy Affiliate which I feel are better suited to newcomers. My Verdict – Is High Ticket Closer a Scam? It’s definitely not a scam, Dan Lok has put together a comprehensive program & if you’re in the business of sales then it could certainly help you to take things to the next level in terms of high ticket closures. However, what I will say is that if you’re a newbie that’s just looking for general ways to make money & happen to have stumbled across the High Ticket Closer program then it’s probably not for you. In my opinion if that’s the position you’re in then there are better ways to start out making money online. Don’t get me wrong high ticket sales are good, but starting out in the high ticket game could be a bit like jumping in at the deep end. For a newbie a program like Wealthy Affiliate would probably be much more suited. 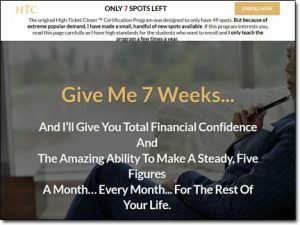 So overall the High Ticket Closer program will be getting a thumbs up from me in terms of quality – but I do have to admit that in my opinion the price is a little steep considering the program comes with no guarantees of success. But it’s up to you to decide whether or not you want to take that risk – the program is what it is, you just have to approach it with the fact that you may not make any financial gain after investing into it. 4 Responses to "High Ticket Closer – Scam or Legitimate Way To Earn Money? 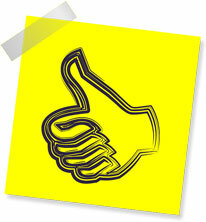 My Honest Review"
Nice review! Definitely refreshing to see one that is balanced.